Although October in the UK has been quite unseasonably warm, winter is most definitely on its way and with that comes dry and chapped skin. A good gentle hand cream is a year round staple for me, my hands have a tendency to be irritated and dry so keeping the skin supple and nourished is a priority. This time of year it becomes even more important. 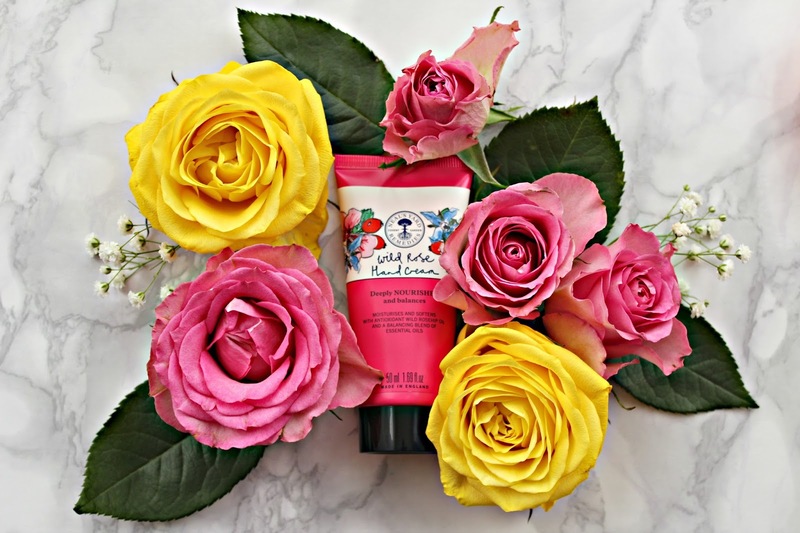 The Neal’s Yard Remedies Wild Rose Hand cream* (£10) is one of my most frequently repurchased over the years, the brand has a brilliant selection of products, including the Wild Rose Beauty balm which is another firm favourite (See my review here). The Wild Rose Hand Cream has a medium texture and sinks in relatively quickly for a nourishing hand care product, the blend of almond and rosehip oils get to work soothing and moisturising whilst the organic beeswax has a slightly protective quality. The scent is lovely blend of essential oils including geranium, grapefruit and frankincense and it feels relaxing to apply before bedtime. A special mention goes to the beautiful illustrated packaging that makes this standout from the rest of the Neal’s Yard Range. The brand is certified cruelty free by Buav and many of it’s products are also certified organic by the Soil Association. A great product to have by your bed or in your handbag. A lovely hydrating hand cream that isn’t sticky or gloopy, but is still nourishing and hydrating. Have you tried any Neal’s Yard remedies products? What are your favourites?